Red Sea MAX Saltwater Coral Tank Aquarium Systems. Free Shipping. 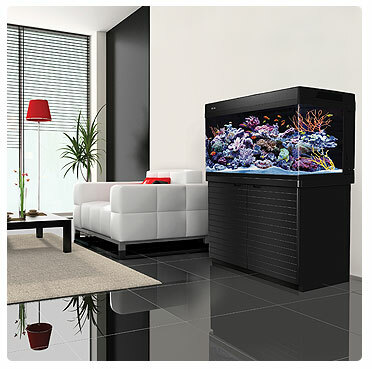 Red Sea MAX is the most advanced Plug & Play Coral Reef Tank System Available. 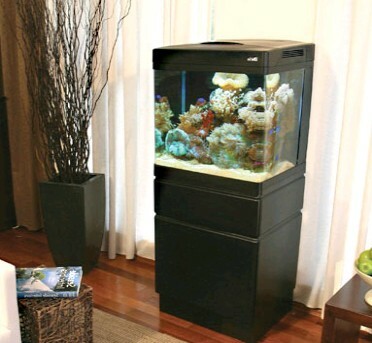 Red Sea Aquariums were designed & engineered for complete system integration & maximum efficiency. Red Sea takes all the guess work out of creating and maintaining a healthy Coral Reef Ecosystem. allow even a novice reef enthusiast to focus on the beauty & splendor of a living, thriving coral reef instead of worrying about component suitability & compatibility. Corals and many other invertebrates require more specific waters condition than those maintained in a typical saltwater tank. They are far less tolerant of incorrect or fluctuating water parameters. Red Sea MAX’s fully integrated 4-stage rear-tank filtration & coral specific lighting system will help make even the most finicky small polyp stoney (SPS) corals thrive and grow to their full potential. MAX Coral Reef Tank Systems come with a complete Coral Reef Starter Kit to get you up & running right! Into a Floor Standing Show Piece With Totem Cabinets! Red Sea MAX custom built totem cabinets were designed to compliment your coral reef tank. Max Cabinets are an exact color match to their aquariums. Modernist style & rounded contours will transform your Max coral reef tank into a stunning, floor standing showpiece. Max Cabinets are easy to assemble & are constructed of sturdy materials to furnish a strong & stable base for your Max system. The cabinets feature a removable, multi-position upper self for storing your Max Start Up Kit Products, test kits & whatever else you may need to keep your coral reef flourishing. Cabinets are designed with sufficient room to accommodate a water chiller unit up to ¼ hp. Cabinets have a large rear opening for easy access to the optional chiller unit and hookups. The MAX 130D & 250 come complete with water chiller hookup kit for fast & easy, kink free installation. This is Not Just Another Marine Saltwater Tank. Experience the MAX Coral Reef Difference for Yourself!